Automated micro-needling (also known as collagen induction therapy or CIT) is a treatment in aesthetic medicine that can help treat the appearance of fine lines, acne scars and the skin’s overall appearance. During this procedure, the microneedling device is used to create controlled micro-injuries to the skin in order to produce collagen and elastin. Automated micro-needling also creates superficial micro-channels which can be used with topical gels, creams and serums to help improve the appearance of the skin. The benefits of micro-needling can include a reduction in the appearance of fine lines and wrinkles, younger-looking skin with fewer signs of aging. Microneedling can also have a positive effect on the appearance of hyper-pigmentation and hypo-pigmentation, acne scars, traumatic scars and stretch marks and create a fresher appearance or glow to the skin. 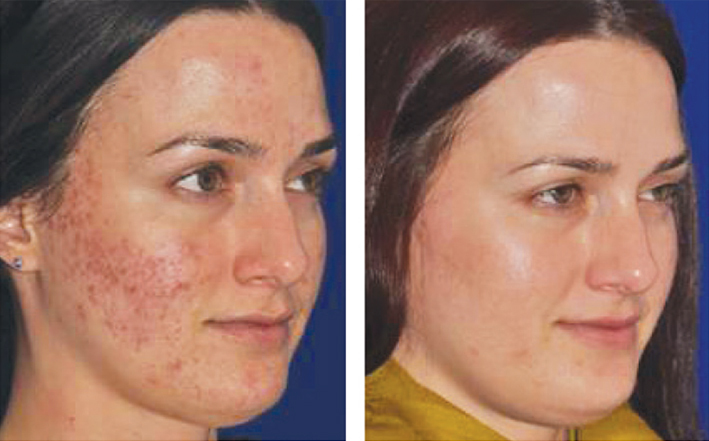 Microneedling can be used on all parts of the body; face, neck, decollete, arms, hands, legs, abdomen and back. A sterile cartridge tip containing tiny points is attached to the microneedling device. Your skincare professional will apply a thin layer of topical gel to your skin and select the appropriate pen setting based on your unique needs. Next, in a single motion, the pen will be gently pressed against the skin while simultaneously gliding in one direction until the entire treatment area has been covered. Immediately after the treatment you will notice a bright redness to the skin. The total healing time depends on the microneedling setting used and the number of overlapping passes your skincare professional performs. On average, patients are red up to 2 to 4 days. Some patients heal completely in as little as 24 hours. Some patients only require a single treatment, once per year to achieve optimal results. However, it is recommended for most patients to receive a series of 2-3 treatments spaced about 6-8 weeks apart. For patients with deep wrinkles, advanced photo-aging, stretch marks or acne scars, your skin care provider may rommend 6-8 sessions at 6 week intervals.